Affiliate Marketing is the popular tool to earn money but until & unless you are on a lucrative commission platform, your efforts are paid with peanuts. For a profiteering affiliate marketing platform, Commission Junction is the best choice. Let us be honest here, we all know how well-paid affiliate marketing is, but after huge efforts & time invested in this job we are paid a fraction of what is actually worth, but no more, with Commission Junction, you are paid what you deserve and the business grows exponentially. Commission Junction is on the top list of the 10 best Affiliate Programs. The unique feature of this model is that it is completely risk-free. You need to invest your time and efforts and reap never ending profits. If you are wondering how does it work, it is simple, you just become an affiliate marketer, you recommend the product to the visitors and direct them to the website where it is sold, if the visitor makes a purchase & kudos, you are paid a commission for it. Do you know who started this amazing concept, it was Amazon to establish the affiliate marketing concept on internet fully and almost every other company is following its step. 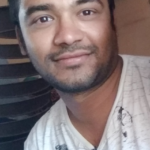 Today, I will help you in understanding this platform to the core, we will discuss the entire process of using the platform and some tips on making money. Commission Junction is commonly known as CJ affiliate and is owned by Conversant Company. Founded in 1998, it is a leading system worldwide related to online business for affiliate marketing. It is an affiliate program popular among online publishers and advertisers for being a benevolent connection platform. 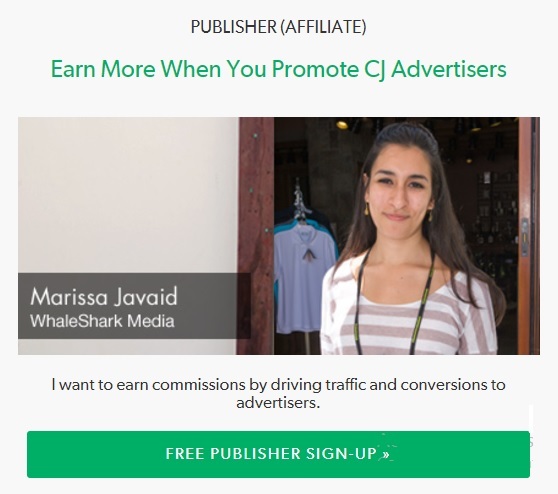 Even if you are a blogger, you can earn through CJ. How? You can write BLOG posts and show ads on your blog for a product, if a visitor of your blog performs an action like, filling out the form, subscribing to a service, make a purchase etc, you get paid. The action mechanism that we follow here is “CPA or Cost Per Action”. To become a part of the Commission Junction, you need to log into CJ.com and search affiliates. It is the largest affiliate marketing platform that caters to hundreds of thousands of companies. The Commission Junction is an Affiliate Programs Provider (APP), which is it coordinates between the subsidiaries and the companies they represent. For the beginners, I suggest entering as a publisher and research about the many companies. You can make note of some good companies and Google their sales efforts and how they sell. You can also check the reference link of each company at CJ.com which takes you to the landing page of the website where you can deep study the company and their selling module. Step 1: As we are starting as a publisher to examine the companies on the platform, log into cj.com and select the SIGNUP tab at the middle left of the page. Step 2: The tab will direct you to an information seeking page. Fill the desired information and click the button “NEXT”. Step 3: You will get a confirmation email from CJ for checking the authenticity of your email address. Upon confirmation, you will be directed to the next page demanding detailed information. Step 4: The website offers you the Terms & Agreements to read, after confirming that you accept the same, you will be asked to offer information about your website or newsletter. If you have a website, well and well, but if not, you can create an eZine May name. In eZine May you can make a creative name for your newsletter and that name can be used instead of the URL. For Promotional methods, you can choose Website/Content and Search Engine Marketing keys. Until and unless you are okay with donating all your proceeds to charity click the “NO” button where the same option is offered. Here all the fields are mandatory to fill in order to create an account with Commission Junction. You need to gather the information as it is vast and you might not have it at once. One of the primary things that you will need here is social security number or tax identification number for signing in as a Company. If you have established bank account details, you must provide them to receive your payment in the account directly. As soon as you are done filling the CJ Pedigree, you may click the “Accept Terms” option and check your inbox (subscribed email address) for confirmation & User Name and Password. You can now proceed to log in to the website using your username & password. As you sign in you will land on Commission Junction Publisher Home Page which has all the information about the advertisers on CJ. 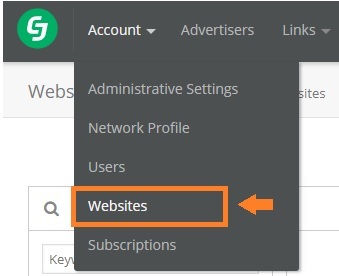 Step 1- After registration now you need to add your blog or website with Cj, So click on “Account” tab and then select website option. Next click on Add website then provide your website URL, name, description & relevant Category to get added with cj. Click on Save button and your website get added successfully. Step 2: Next to Account is the “Advertiser” tab where you can find product links, get products & join the program tabs on the right-hand side from left to right respectively. make sure to update- On the top left of the page, you can see an “Account” tab where you can update any information that you provided while filling the registration form. From here you can either choose a “link” after viewing the entire list or “Join Program” as per your wish. Though the process is lengthy, when you see the results, it becomes worth every effort.